US July 2008 ? ? Not to be confused with the DS and Wii title Mario & Sonic at the Olympic Games. 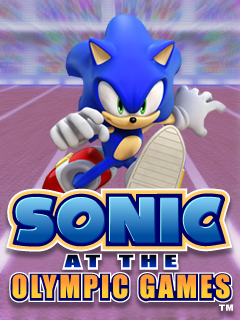 Sonic at the Olympic Games is a mobile phone game released as part of the Sega Mobile service offered by Sega. In this game, Sonic, Tails, Knuckles and Amy Rose compete for olympic medals. There are 5 events: 1500m Hurdles, 400m Hurdles, Triple Jump, Discus and Javelin. The game has one-button controls for the events, saves progress automatically, and features varying difficulty levels (Qualifying Round, Heats, Semi Finals and the Finals). There is a high-scores board that the player can upload their scores to and compare nationally. Points are gathered by finishing an event first and gaining Rings. This page was last edited on 25 August 2012, at 00:22.